Pound traders huddle up! Today we’re looking at a simple trend play on Guppy and a potential reversal for Cable. Think you can make pips from these charts? 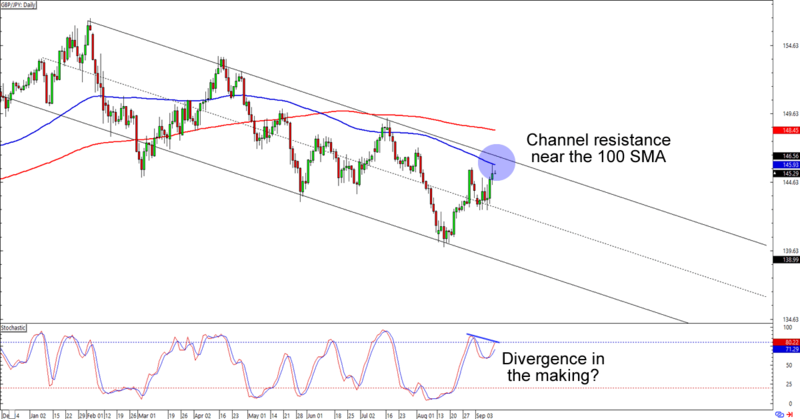 Is Cable ready to reverse on us? 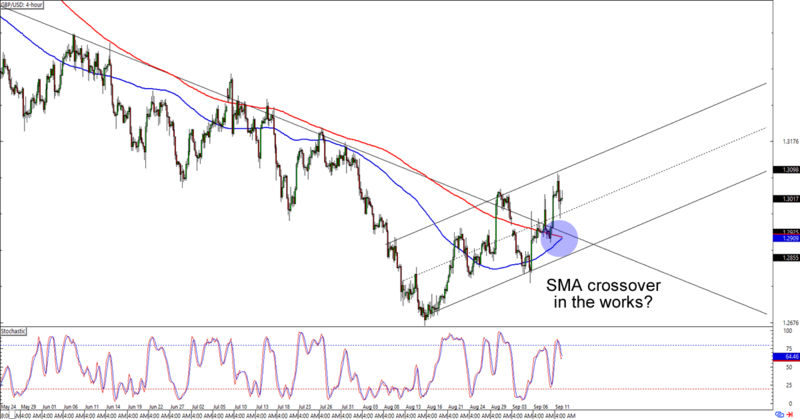 GBP/USD blasted above the trend line and 200 SMA resistance level that we marked a week ago. With the trend line broken and the 100 SMA lookin’ like it’s about to cross above the 200 SMA, you can bet your pips (with proper risk management, of course) that the chart is already on the bulls’ radars. Buying at the earliest signs of bullish momentum, or even a retest of the broken trend line is a good idea if you believe that Cable is about to start an uptrend. Just make sure you leave enough room in your stops for some volatility, aight? Here’s one for my trend-following brothas out there! Guppy’s last candlestick just showed a nice wick around the 145.50 area, which is right around a falling channel AND the 100 SMA resistance on the daily time frame. Think the pound is in for more losses against the yen? More consolidation around its current levels could give the bears enough time to drag it back down to its 140.50 previous lows. However, a break above the channel that we’re seeing opens the pound for a move back to the 149.00 previous area of interest, if not the 150.00 and 152.00 levels.